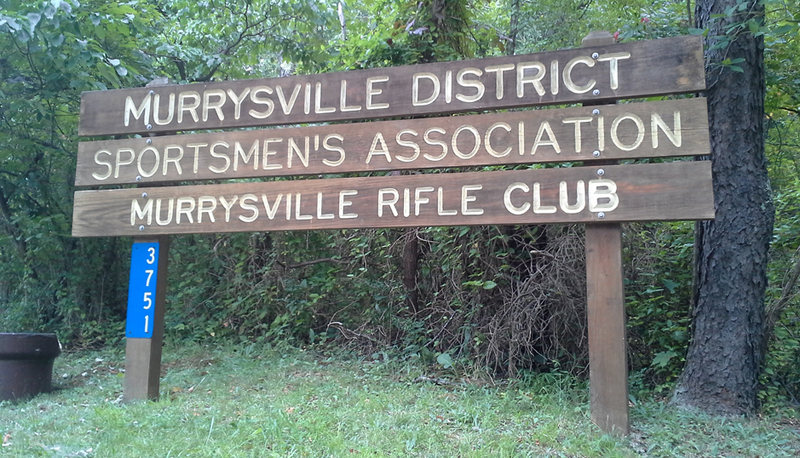 Known as the Murrysville Gun Club and the Murrysville Rifle Club, the Murrysville District Sportsmen’s Association was the first sportsman’s club founded in Murrysville in 1939. The club has been called by many names over the years but one thing that remains the same the desire to make a positive impact in the community. The club consists of several indoor and outdoor ranges as well many programs offered by the members to teach safety, responsible sportsmanship, competition marksmanship, and more. We offer various safety and junior rifle programs at no charge to youth in the community, whether they are members of the club or not. The spring small bore rifle match will be May 18th and 19th, 2019. More information is availible here. Our annual sight in day will be scheduled as we get closer to deer season. This day is open to the public. Hours are from 10:00am to 4:00pm. We will have targets and materials available. Hunter Education Classes. Sign up at the Pennsylvania Game Commission Website. This course is required in order to purchase your first hunting license. No fee is charged and anyone is welcome, attendees do not need to be club members. The Junior Rife Team is currently meeting for practice on Monday evenings, contact us for more information. Shooters do not need to be club members, anyone is welcome. New shooters welcome, no experience needed, safety training is include. The All Sportsmen's Trap League will be shooting Monday evenings beginning in April. The League shoots 50 birds from 16 yards. Several other clubs are involved. We could use more shooters, for more information contact Pat O'Mahony at 412-877-8808 or pato.ht1@gmail.com. Membership to the club is not required, new trap shooters welcome, no experience needed, safety training will be provided. All youth safety and marksmanship programs are open to anyone in the community, club membership is not required. Contact us for more information. Members may bring guests, but are required to accompany their guests and will be held responsible for their actions. All members and guests are required to abide by the Club Rules at all times. The ranges, shooting benches, and rests are provided by the club, but members and guests must bring their own targets and target stands. Club members are also eligible to participate on the rifle team and trap team, and may engage in posted safety and marksmanship training programs as well as make individual requests for them. There are numerous members within the club with expert and professional level safety and marksmanship expertise who are willing to provide training upon request. Members receive a regular newsletter with announcements, reminders, and renewal information. Monthly meetings are held for those interested in club leadership. However, there are no meetings, work days, or extracurricular activities required to be a member of the sportsman’s club. We do ask all members to consider contributing their time to the maintenance, programs, and improvements of the club. This helps us keep dues lower and ensures the club will be around for a long time to come. The more people who help out, the more members get to know each other, and the more it feels like a club. Please leave things better than you found them, be courteous, and pass on what you know. The club offers a new member and perspective member orientation the first Monday of every month at 7:00pm-8:00pm. If you have just joined or are considering joining, then come out, get a tour, ask questions, and meet some of the club members. The orientation is not mandatory for new members but it is encouraged. Please come to the main club building on the right shortly after pulling in, the gate will be open. Other programs may be going on at the same time, don’t be bashful. Feel free to call or email ahead of time if the orientation falls close to a holiday. We are happy to accommodate those interested in an orientation on other days and times as well, just call or email and we will try to set something up for you. Membership to the Murrysville Gun Club is contingent upon safety and sportsmanship. We strive to better our community, be good neighbors, and help introduce new and young members to safe responsible sportsmanship. If you are able to embrace these values then we welcome you to apply for membership. 3) Pay the annual dues of $50, make checks to M. D. S. A. For more information feel free to contact us for more information. Club President John Funk 724-327-0551. The club address is below, but please only mail dues and applications to the P.O. Box, the club itself has no mailbox onsite. Murrysville Rifle Club l All Rights Reserved.